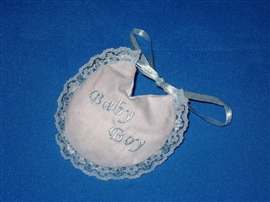 Cute little bavetta bib in white with blue lace and embroidery. Filled with 5 confetti. Add a bigliettino if you like.